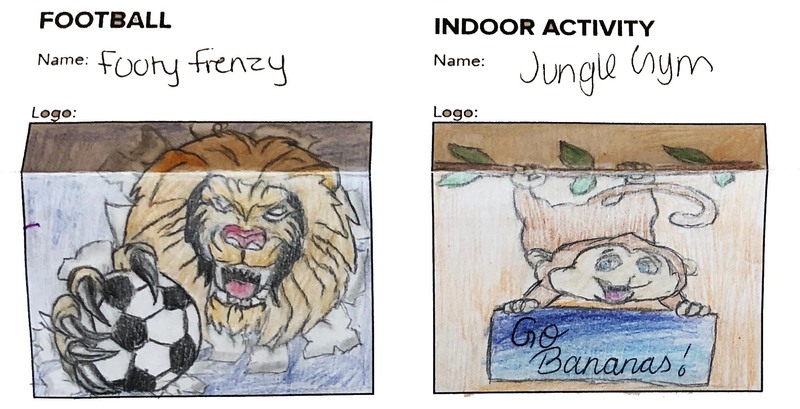 Last term, Art Club were invited to take part in a competition to design the branding and logos for Gascoigne Community’s new community centre. 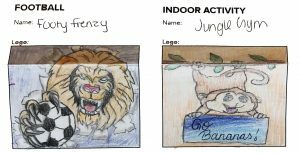 The pupils were asked to come up with designs for the overall centre and for specific activities; Football, Chill Out area and Games Rooms. We are very excited to announce that out of all of the young people who entered from surrounding schools two of our pupils have won the competition-Cheyenne Menda, (Year 9) and Alesia Elenga, (Year 7)! 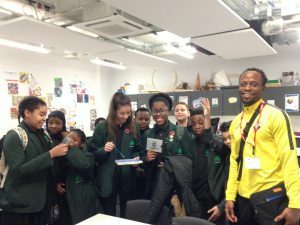 Ola Kukoyi, Gascoigne Community coordinator, met with the pupils last week to give them their prize of high street vouchers and invite them along to meet with designers to see their drawings be made into actual branding images. He also mentioned just how impressed the design team were by our pupils’ skills and concepts! The winning pupils Cheyenne and Alesia will have the opportunity to go along to the design studios and take part in the whole designing process. Well done girls and thank you to, “Every One. Every Day”, for inviting us to take part in the competition.